That’s right, a sequel to Temple Run is finished and should be released on Android next Thursday. Dubbed Temple Run 2 (so clever), the new game has been built from the ground up, contains the same simple controls that you enjoyed from the first, and will likely be just as addictive. The small 2-person Imangi Studios team has grown to five, to take the game to another level. Since they now serve 170 million players on the original TR, this new venture has a lot to live up to. 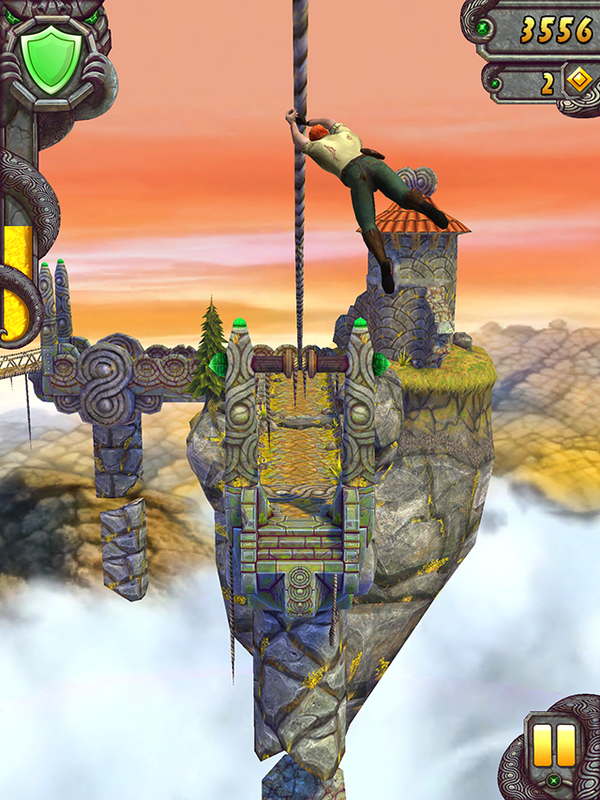 The run takes place in a temple this time around, with ropes, clouds, beautiful scenery, and mine cart rides. There are HD graphics, multi-tiered abilities for characters, special skills, and goals for each level, rather than the long list of achievements. All in all, it’s said to be mostly the same, just spiced up a lot. It should be a blast, especially since it’ll be free again.